Maximize the power of content throughout your Store by taking advantage of this invisible feature in Shopify. Manage metafields for products, variants, collections, articles, pages and even custom types! Add extra description, images, and much more. Metafields Master gives every merchant the power to add, manage, import, and export extra, additional fields for pretty much anything you can imagine...this includes anything in your shop like collections, products, customers, pages, product variants, orders, blogs, articles, etc. Used to create custom text metadata for collections and it is perfect!! To show the info stored at metadatas you have to edit some theme liquid files. I recommend it 100%. 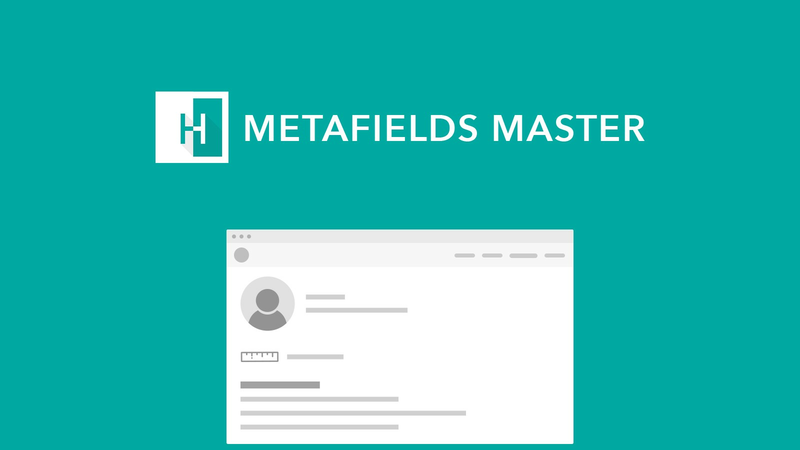 This metafields manager is robust and easy to use with a slick user interface. Install the app, create some fields and enter some values, pretty easy. Was able to create some fields for my products and edit the theme code to display them on my product pages. Even greater is their quick responding and friendly support team who helped resolve my issue. Thanks! !